It’s been a long and complicated process involving thousands of would-be singers, a not so Europe panel and a songwriting camp. But finally the time has come for Germany to select its entry for Eurovision 2018. Before the German public and international jury make their decision tonight (from 20:15 CET), the Wiwi Jury – our in-house panel of music unprofessionals – couldn’t help but give their views on the six hopefuls. Due to the time constraints (the songs were only released two days ago y’all) we’ll be doing a mini-jury, just as in the same vein as Albania, Spain, Italy, Denmark and Serbia. For this edition our jury comprises members from Germany as well as Australia, Belgium, Bulgaria, Hungary, New Zealand, Spain and the United Kingdom. Read on to see who they think should be flying the German flag in Lisbon this year. This is the party track which Eurovision 2018 needs. It’s not the best song I’ve ever heard but it definitely stands out from the other ones in Unser Song für Lissabon in a good way. The song is really catchy and will create a great atmosphere in the arena. Sunstroke Project and Ilinca & Alex Florea proved that “troll” entries can do really well in Eurovision, so who knows, this may tread in their footsteps. I imagine a really catchy dance routine on stage so everyone in the audience can dance along with voXXclub. In a national final with four or five good songs, Germany have a lot to work with. They should expect to be out of the Eurovision basement this year and truthfully, most if not all of these songs will do that for them. But the one they should send to Eurovision is Natia Todua. I love voXXclub and I’m compelled by Michael and Ivy but Natia’s song is so much fun. Lyrically enthralling and taking me to a new dimenson, Natia has an amazing song that will go a long way at Eurovision. She just needs the staging to go along with it. If Mariette wins Melfest, 2018 could be the year of the dreadlocks. We’ve got some well brewed Oktoberfest realness here, folks! This is the most unique entry in this selection, being fun, catchy and very danceable! The Bavarian dialect gives the whole thing a special flavor, so if something then THIS would elevate Germany out of the bottom region of the scoreboard! Sehr Gut, Deutschland! Wow! This is the only song of the selection that I liked after listening for a couple of seconds. It’s such a very gentle song. And I think Ryk will be able to cope with the live performance tonight. I wish him success! What a captivating voice and incredible song. The music is an excellent crescendo, has an uplifting brass instrumentation, interesting lyrics and is simply pure class. My one worry is that his over-pronounced English accent and OTT stage presence makes him come across a bit weird; almost like a Mumford & Sons parody. If he can tone this down and tie his hair up, I would be shocked if this masterpiece doesn’t go top 5 in Lisbon. Ivy Quainoo is of course the first winner of The Voice of Germany. While that doesn’t justify winning the selection, it does support the fact that her voice is outstanding in this competition. The song is not the best of her catalogue, but she can make this her own when it comes to the live performance. This is my clear stand out of the German selection. Touchingly beautiful, the lyrics feel both personal to Michael yet able to connect with everyone across Europe. This is the only song of the 2018 national final season that has made me feel anything emotionally and given me goosebumps. The added orchestration in the final chorus provides the song with the climax it needs but doesn’t overdo it so as to overpower Michael’s vocals. With suitably atmospheric staging, this could provide an amazingly special moment in Lisbon. Sweet-sounding harmonies and touching lyrics characterises what I feel a very special gem. Michael’s offering is truly emotive and beautiful. From his voice to his ability to make you feel, words are felt as he sings. And such connection is truly rewarding. However, it is true that this composition could go under the description of the “anti-fast-food” type of music, expected to fill this year’s contest. But that disposes of one very important element: emotion. This song speaks, touch hearts and makes you feel – and that’s very valuable. Quiet in its simplicity and fragility, “You and I” delivers a moment. On first listen, it took a second to find the rhythm, but that changed once the orchestra chimed in and, like ASMR, gave me tingles from head to toe. The power and rawness of Ryk’s voice is absolutely astounding – as if Eugent Bushpepa and Anthony Callea’s voices somehow had a baby. Accompanied with quiet yet intriguing staging, this is a surefire way to get Germany back to the top of that scoreboard. While the family/mother theme is slightly creaky, Michael’s entry stands out musically like no other in this selection. In a field of decent songs with good singers behind them, “You Let Me Walk Alone” brings that extra touch of quality and emotion. Michael takes you on a drive and makes you feel a part of his loving home. It’s both lovely and just a tad cringy, but the beauty of the music helps pass by the lyrics. I hoped for a better selection from Germany this year. At the end of the day this is the only song that really stuck out to me. I know it’s not supposed to be taken seriously at all, and I would cringe seeing it on stage at Lisbon, but it’s so catchy and happy and original. And even more importantly, it’s very hard to dislike a song that has such a theme of carefreeness and self-expression. We can chant “I MOG DI SO” and not care about what anyone thinks! And I’m always overjoyed to see the Germans enjoy themselves. In a way, I think voXXclub might be a better pick for Eurovision, but my heart is drawn to Ryk’s “You and I”. The song creates an intimate setting — Ryk’s fragile yet powerful voice accompanied by basic piano and a thoughtful orchestral accompaniment. The only thing that’s needed is for this song to work as a live performance. If it can harness the power of the studio version, it will be a force to be reckoned with. So which of our jurors do you agree with? Which of the six acts are you rooting for in tonight’s show? 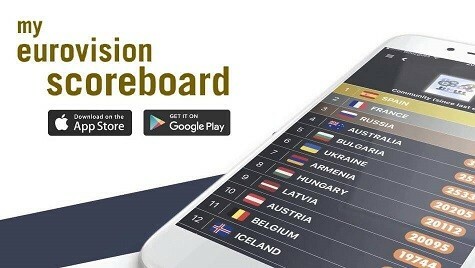 Do you think Germany has potential to return to the left hand side of the scoreboard? Let us know in the comments section below! Congratulations to Germany on a great national final! YES! Michael won! My only ”concern” now is how to make a list, since most songs are SO good! If other countries continue like this, my 27th will probably still be an 8/10. A good year, thus far! Congrats, Germany, this could seriously win! Michael won! He was the best!!! Okay… These points are interesting so far. Michael is running away with the jury votes. He is OK, I say left hand of the scoreboard, but lower half. So Michael it is. It’s nice but I think they had better options. I’m not so sure Germany will avoid the bottom 5 with him. This is the kind of entry that can disappear depending on the running order. when will they announce the results? I hope this will not continue all night. It is already 00:30 in where I live and I am knackered. It is hard to be an ESC fan in this timezone. But UK is probably the best time zone for watching these things, luckily. I have no idea what is going to happen. The only thing I know is that they only can reveal the results when Jon Ola Sand allows them to do it! My 1st is Michael, but I would be happy with any of the 6. Congrats to Germany on this high quality national finals. Each song brought something new. I mean, Ivy’s song is totally a Melfest material, but she is arguably better than most, if not all, songs submitted there thus far. Ryk is simply magical as well! I wouldn’t dare to be a jury member here. And Ivy too! Uggh, what is Germany going to do?! I’d love it to be Ryk. But Michael’s song is sooo good! This is such a difficult one. I agree that Michael and Ryk are emotional heavy hitters and Germany’s ticket to top 10. Other 4 are quite entertaining and interesting too, though. In a NF like Belarus or Moldova any of them could have been a clear favorite. Thanks Purple Mask. I joined you. Is it me or does Nadia sound awful? She just has a raspy voice, I think. It’s not everyone’s cup of tea, but I found it somehow cute in her case. Ryk did a beautiful performance, indeed! 🙂 Wouldn’t mind seeing him as a winner. I find Voxxclub not fun, on the contrary I find them aggressive and predatory. Somehow I suspect that they are AfD or NPD voters. Totally wrong choice for Germany, me thinks. Well, they sure left me entertained! I have no idea what they are singing about, though. I think they were singing about how perfect a person was just the way they are. Maybe? Nick, I think the dancer was actually a good way to give it some dynamic. She could spin less though hahaha Ryk is amazing. Great vocals. I like Natia, but I guess she was nervous. Also the chorus of her song doesn’t work at all. I warmed to dancer later actually. Xavier is more entertaining than Voxxclub, but I cannot imagine him on the ESC stage. Actually, I can imagine him getting the usual last place for Germany. Still Ryk for me… by a mile. For now, I would send Ryk to Eurovision (and I don’t think Ivy or Michael will change my opinion), but I need to see a Xavier concert someday. So enternaining. Loved his crazy dancing legs. Ivy is great but she deserved a better song. The lyrics remind me of the kind of nonsense we had on the british and maltese selections. Sabrina where are you from? I am Turkish, I know Purple Mask is British and Colin is Croatian. Maybe 4 of us really represent different corners of Europe? I’m from Brazil, Nick. I can’t vote, just like you, I’m only allowed to watch (when I can avoid geoblocking of course)! Sorry, I can only say Oi and Obrigdo. I was in SP for one week, and one of my closest friends is a Gaucho. Fair enough. It’s way more than I can say in turkish! Xavier brought some welcome country fun! I think San Remo was slightly better on average. Sanremo has a disavantage, since every act was there on the final, even those who weren’t good. But Germany can be proud of tonight’s show, that’s for sure. All performers had their charm. Probably! If someone told me that Germany will have stronger NF than Sweden, I’d laugh, but here it is. My last is probably a 7/10. Michael gave a strong performance, but I dont think the song or the performance is as immediate as taht of Ryk. Michael is still my favorite! Beautiful song, great live! I almost cried when I heard the song for the first time. The background was tad unnecessary, as the song itself is more than enough to evoke emotions. Michael is my number 2, but I agree that he is the only one who can possibly beat Ryk. But I have a hunch that Germans will choose Xavier. I like Michael and his song, but Ryk, Xavier and Ivy (even if I don’t like her song) impressed me the most. The same with Cinan, Josh & Robyn. I don’t see how that would make a difference to the song. And, as you may recall in the UK selection, Liam Tamne didn’t get any special boost from it either. And it is kinda obvious that he is gay. I already noticed that many Eurovision blogs or fans are pretty close with the LGBT community. I didn’t know about Ryk and Liam, but honestly, it shouldn’t make any difference. Again…. I was NOT serious. It was a joke. Just curious, but isn’t Xavier gay too? I mean, the song isn’t *explicitly* about a love relationship (could be a friend or a relative, I guess), but it definitely could be seen a such. Jonah is a man’s name, right? I mean, Xavier could be singing in a ‘role’, not biographically, although singers usually tend to. I’d say no, but I don’t really know about it. Natia Todua is my favorite but I hope it’s not selected for Eurovision. It won’t do good there. Please don’t send The German Salvador (Michael). I can’t take another Salvador, one is already too much. Oh my god, there are literally no similarities between the two Songs or the two artists, what are you talking about? Some people really need to think first before writing. Holy cow. I would go for Michael! The most emotional song. His voice is really beautiful. I don’t want voXXclub, but maybe that’s what Germany needs. What I noticed in the comments, You Tube tops and Wiwi jury section alike is that, unlike in most national secections, there is no clear favorite. Surprisingly, I saw each of these songs as someone’s first, middle and last. I will be thrilling to watch, as this time I have no idea what to expect. My favorite is Michael Schulte. Michael Schulte has the most touching song, Ryk has the most beautiful voice, VoXXclub has the fun factor (though, I’d expect something more special from them) but overall this selection bores me. Nothing excites me here. I had high hopes from that songwriting camp but… It is what it is. Absolutely it’s Michael for me, but all six songs are better than generic Perfect Life and arguably better than Storms, so it’s likely that Germany might do better than last years. Michael could run for top 5 spot from me, while Ryk could achieve top 10. Voxxclub are really funny, and we need a bit of that too. Ivy and Natia have solid entries, but nothing what wasn’t heard before. Xavier has a nice song too. I miss the days when men were able to sing ballads like “You let me walk alone” without being compared to Ed Sheeran. This song reminds me more of “Say you wont let go” by James Arthur, but he copied Ed Sheeran too, right? Songs like this have existed for centuries, its not always about Ed. Everybody now who sings ballads is Ed Sheeran, lol, like Ed Sheeran invented ballads. RYK all the way…..this song can get Germany in the top 10 for sure…..his voice and fragility will make this song an outstanding moment!! I have the same 3 favorites, but Ryk is my 1st. ^^ Xavier doesn’t have a Chance to win this, so it’s between Michael and Ryk. While Ryk is obviously the outstanding one, Michael seems to Appeal to the whole Eurovision audience more than Ryk does. I’d be happy if any of These two Songs win, but the girls Need to be stopped, they are so bland. It has to be Ryk!! You Let Me Walk Alone is a grower – I like it a lot and it’d be a great entry for Germany. Then again, I don’t get the hatred for voXXclub either. They’re a lot of fun! What you’ve said about Ivy, can be said about Levina. The singer can’t do anything if the song is bad. I still think the song is better than Levina’s. For Ivy it’s not a great song in comparison to her other singles, but I still really like the song. I’m just hoping live I’ll love it. People don’t like it here in Germany. Everyone in the german bubble knows it’s gonna flop bigtime (at least almost everybody….). At least WE know that it’s terrible, not sure if whole Germany knows it…. I’d send Ryk or Michael schulte, the other’s are a certain outside of the top 20 place case. I think Michael made our Odds explode and sent us right into the top 10, which is cool…. I like the song quite much, but Ryk has a better song imo. Everyone that has Ivy or Natia as their favourite just wants to see us burn, they’re literally glorious perfect black ghost, don’t make that happen. I’m curious to see what will happen at Eurovision if Germany sends Michael (which will happen 99%) and Sweden sends Felix (which is very likely if juries don’t screw up). If both can survive or one is gonna overshadow the other. Really like both tho xD Need to see them live. It’ll all be fine if Sweden sends Samir & Viktor xD Okay, Felix is actually my 2nd place right now and since I know that S&V don’t have any chances, I’m rooting for him. If you seperate both Acts (Michael & Felix) from one another enough, there won’t be a Problem. Let Michael peform 10th and Felix can be 25th or something. Samir & Viktor would be too cool. In the Michael/Felix scenario, I hope it’ll be room for both in the Top 10 but one of them might stand out more. We’ll see with their live performances I guess. If we should believe the Odds Germany should send Michael Schulte. He is topping the national final odds and he moved Germany from place 20 till 9! That is really impressive so choose wisely Germany!! Eurovision needs VoXXclub so much. And Germany needs VoXXclub so much. But that international jury is weird, those people probably never heard of ESC. Why did Germany needed to have international jury this year? Why? If Germany will not send VoXXclub I will hate so much all those weird leftist globalists that think sending traditional music is ultra-nationalism. Germany, send VoXXclub, or burn in hell now. Look at the comments of the user Purple Mask at this article. Antatika may have a good point or two here. But I suppose it depends on the intentions behind the song. What intentions are behind a balkan ballad about love? You are atrocious extreme left. Well thanks. It was nice debating with you, while it lasted. There’s no clear favorite, it seems. I’d go with something original and send voXXclub–that’ll certainly stand out at the contest, unlike the rest. Schulte is the clear favourite. He is why Germany’s odds are surging. voXXclub would send Germany to new lows. What new lows? Semifinals, or what? Michael will be destroyed after rehearsals by the very people that are supporting him now. Like Gabbani was. Everybody will love Madame Monsieur till the end, sadly. I mostly agree with Josh. We have the same opinion if we swap you let me walk alone with house on fire.